I’ve written about this vaccine 100 times – however, this might be your first bit of research into the HPV vaccine (known as Gardasil, Cervarix or Silgard), so I feel it’s important to give the readers a brief overview. If you’ve read it before, just skip to the next section if you want. Let me make this simple. There are only a handful of ways to actually prevent cancer, and drinking a blueberry-kale-protein shake is not one of them. On the other hand, Gardasil-9, the current version of the HPV cancer vaccine, protects teens and young adults from 9 subtypes of cancer-causing HPV, which leads to lower risks of more types of cancer. The researchers in this recent study evaluated the risk of autoimmune diseases (ADs) over 6.5 years after exposure to HPV vaccines (quadrivalent Gardasil and bivalent Cervarix) in adolescent and young adult women using data from a French medical registry, Pharmacoepidemiologic General Research eXtension (PGRx). The PGRx is a surveillance database that helps researchers monitor the occurrence of rare or delayed health events that may be related to the use of medications or vaccines. The HPV vaccine uptake rate was lower in the patients with AD than in the controls without AD (10.9% vs 22.5%). Surprisingly, the group receiving an HPV vaccine had a more than 40% lower observed risk of developing AD. A similar lowered risk of central demyelination/multiple sclerosis (CD/MS) and autoimmune thyroiditis (AT) was observed in the HPV vaccine group. 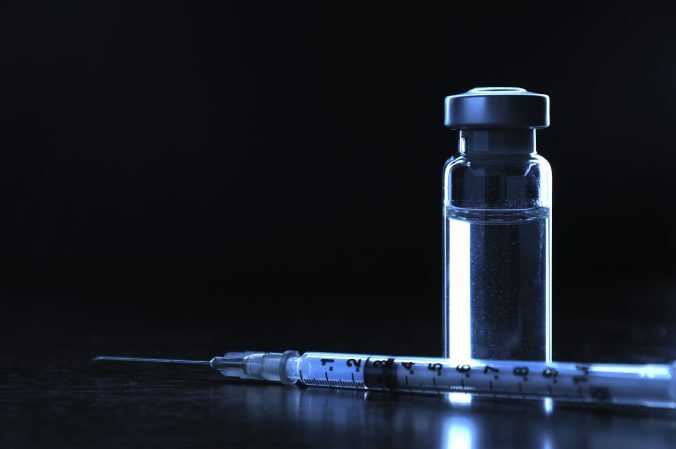 The researchers observed a statistically nonsignificant trend for reduced risk of connective tissue disease (CTD) and type 1 diabetes (T1D) after vaccination. No correlation was found between HPV vaccine exposure and idiopathic thrombocytopenic purpura (ITP). The relationship between HPV vaccine exposure and Guillain-Barré syndrome (GBS) could not be established since no cases of GBS occurred in individuals who received an HPV vaccine. This data not only show us that there is no link between the HPV vaccine and autoimmune diseases, but, in a few cases, seems to indicate that there is a higher risk of these autoimmune diseases in the non-vaccinated group. Exposure to HPV vaccines was not associated with an increased risk of ADs within the time period studied. Results were robust to case definitions and time windows of exposure. Continued active surveillance is needed to confirm this finding for individual ADs. This is even more robust and overwhelming evidence that HPV vaccines are not related to autoimmune diseases. And, for unknown reasons, it even seems like the vaccinated population has a lower risk of these diseases. The HPV vaccines, like Gardasil, help prevent some serious and dangerous cancers. I’m hoping parents begin to understand that there are few if any risks for the vaccine, with the substantial benefit of preventing cancer. Grimaldi-Bensouda L, Rossignol M, Koné-Paut I, Krivitzky A, Lebrun-Frenay C, Clet J, Brassat D, Papeix C, Nicolino M, Benhamou PY, Fain O, Costedoat-Chalumeau N, Courcoux MF, Viallard JF, Godeau B, Papo T, Vermersch P, Bourgault-Villada I, Breart G, Abenhaim L; PGRx-AD Study Group.. Risk of autoimmune diseases and human papilloma virus (HPV) vaccines: Six years of case-referent surveillance. J Autoimmun. 2017 Feb 9. pii: S0896-8411(16)30214-1. doi: 10.1016/j.jaut.2017.01.005. [Epub ahead of print] PubMed PMID: 28190705.